If you regularly handle natural gas streams in your industry, there are times when you need to carefully and efficiently remove potentially harmful particulates and liquids. A gas scrubber can be used to filter particulates and liquids, improving the purity of your natural gas product. Examine how a fuel gas scrubber works and where you can find a unit that will keep your natural gas streams free of unwanted components. What Is a Gas Scrubber? The purpose of a gas scrubber is to eliminate harmful particulates and liquid hydrocarbons from natural gas. 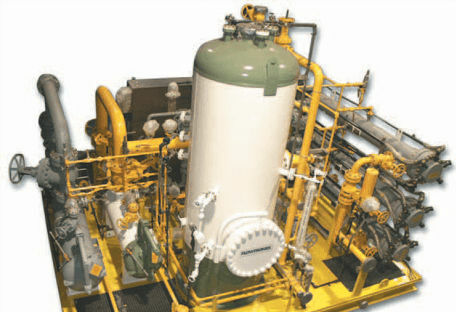 A natural gas scrubber system works by using particle filters, coalescers, mesh pads, and other devices to remove pollutants from the gas stream. This type of gas scrubbing is the preferred way to ensure that natural gas is clean and dry for industrial use. There are many reasons to use a fuel gas scrubber. Use it on any natural gas stream that features particles, liquids, and corrosive components. You can also use a fuel gas scrubber skid to superheat the end product to prevent liquid condensing in combustion turbine nozzles. Early in its development, scrubbers were used to remove carbon dioxide from air in submarines. Since then, they have been used in various industries, including the pharmaceutical, chemical, solar, and surface treatment fields. Consider using an IFS fuel gas skid when you need a natural gas scrubber in your line of work. How Does a Fuel Gas Scrubber Work? With a natural gas scrubber, a particle filter is used to remove unwanted particles in the natural gas stream. Mechanical mesh pads are also used to separate the liquids. 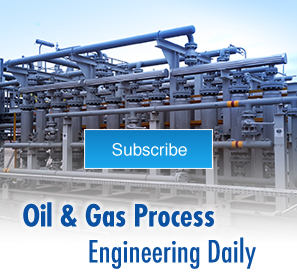 Additional natural gas treatment can be used for removal of CO2 and H2S by bubbling the natural gas through a scrubbing liquid like amine. This type of natural gas treatment is called absorption because the amine absorbs the unwanted CO2 & H2S. The rich amine that contains the CO2 and H2S is regenerated and reused. The natural gas scrubber system has worked well for years because it comes with many advantages. There are several applications among multiple industries, making this a scalable process. The equipment for this process is easy to install and maintain, and gas scrubbing offers a proven method for cleaning natural gas. If these benefits appeal to you, please browse the inventory of the IFS oil and gas skids. As with anything, gas scrubbing comes with some downsides. First, the particle filters must be monitored for particle loading. As the filters become clogged with particles, the pressure drop across the filter elements increases. At the manufacturer’s prescribed differential pressure, the filter elements must be changed. Second, the liquid separators remove liquids from the natural gas. The liquids drain into a liquid chamber and are stored until the chamber fills and the liquids are drained off into another vessel. Liquid level controls are used to monitor the liquid level and drain when full. If you have questions about natural gas scrubbers for oil and gas, or would like to browse our fuel gas scrubbing products, contact IFS today.